Wondering why your tried and true makeup tricks are making you look older? It’s not that you’re doing it all wrong, it’s that you need a few new suggestions. Try these aging skin makeup tips to perk up your face and give yourself the youthful look you so desire. 1. Moisturizer is essential. A great moisturizer is the key to great makeup. My favorite moisturizer is also chemical and cruelty free. Moisturizing the skin before applying your base layer will give you the best start for your canvas. Moisturizers are used to prevent dryness, improve skin tone and texture. They do this by holding water in the stratum corneum, the outermost layer of the skin. Apply your moisturizer 10-15 minutes before you start applying makeup to give it time to work. 3. Blush is a must. Flushed cheeks give a youthful appearance so don’t skip the blush. Add a beautiful color to the apples of your cheeks right on the bone. I’m surprised by the amount of women who don’t wear blush. Many women like to use a cream blush as they age but I do not. So many beautiful colors to choose from here. Customize a 2 or 3 well palette to save money and have enough color options for all seasons. 4. Think softness. Avoid black, harsh liners opting for shadow liners instead. 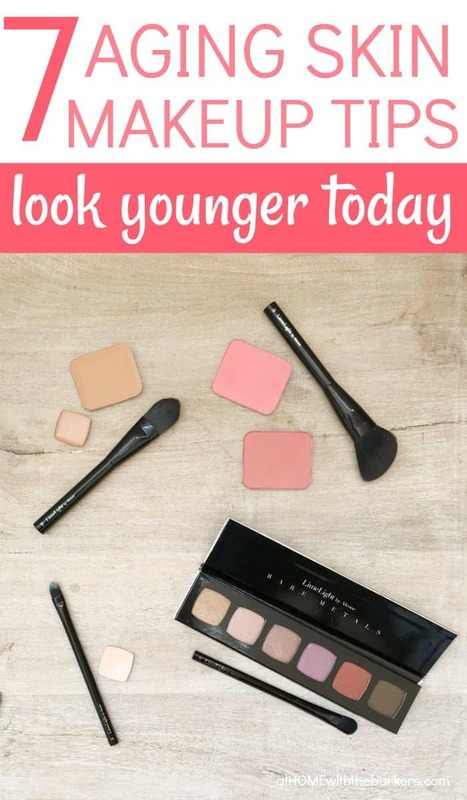 This is my absolute favorite aging skin makeup tips. I’ve done this for years. Mature/aging skin does much better with a softer look as opposed to hard lines. Instead of black opt for a lighter charcoal gray instead. For a really soft look, try using your tan shadow as liner. I take my favorite liner brush, wet it with water, then dab it into my shadow. 5. Lash line details. Also try to avoid eyeliner on the lower lash line, especially the water line. The water line is the line closest to the eye above the lashes. 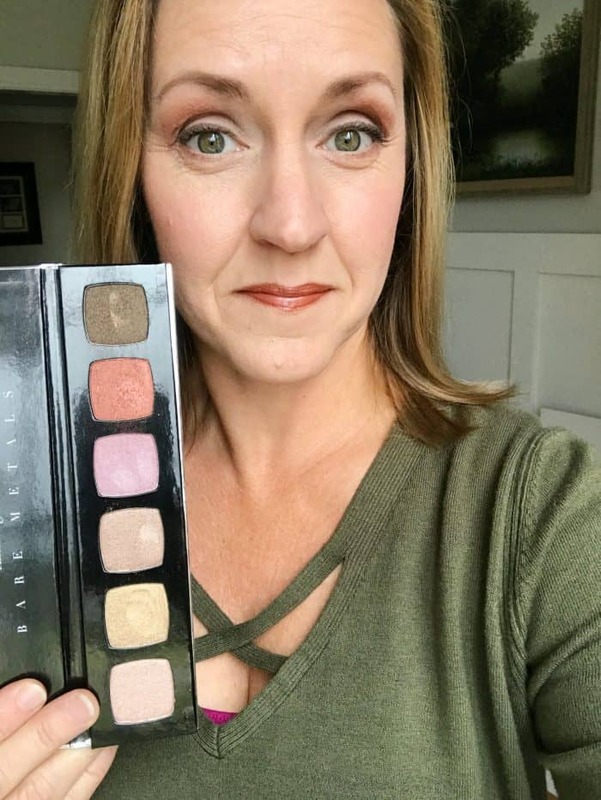 Instead choose a lighter tan or blush colored shadow or nothing at all. 6. Boost for the eyes. Brighten your eyes by adding a concealer to your lower water line. I love my concealer especially for this because it is waterproof and will last all day. Try not to choose white or a color too light but opt for one a shade lighter than your skin tone. These waterproof concealers work best. I use #0 or #2. I must tell you, these concealers are fantastic for cover dark circles, age spots or adult acne. The waterproof property is wonderful to have for hot summer days. 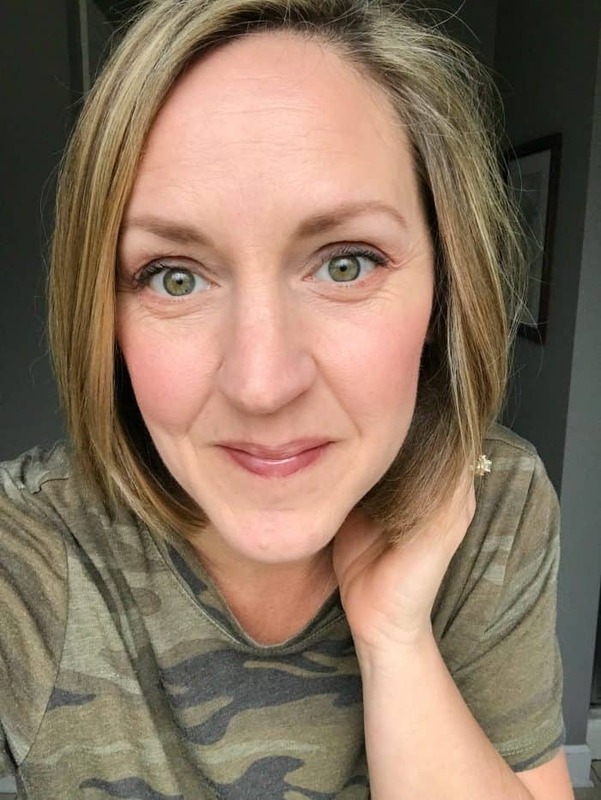 **I first wrote about my experience with the concealer here. That was a hard post to share! 7. Careful on the sparkle. Go gentle on the shimmer. If you love that type of glow, as I do, use a color that isn’t overly bold on the shimmer like this one here. Then choose one of the colors in the shimmer palette and add with your traditional matte colors for a beautiful look. After being a beauty guide for over a year now I have learned so many amazing tips from professional makeup artist. Tips I am thrilled to pass along to you all. Also, the makeup and skincare I will be recommending exclusively will come from the same company. I use them and believe whole heartedly in them. BUT all of the tips I am sharing are still useful with any makeup. If for some reason you find the makeup and skincare you are using are not performing as great as they should be I would suggest trying these. THEY ARE AMAZING. 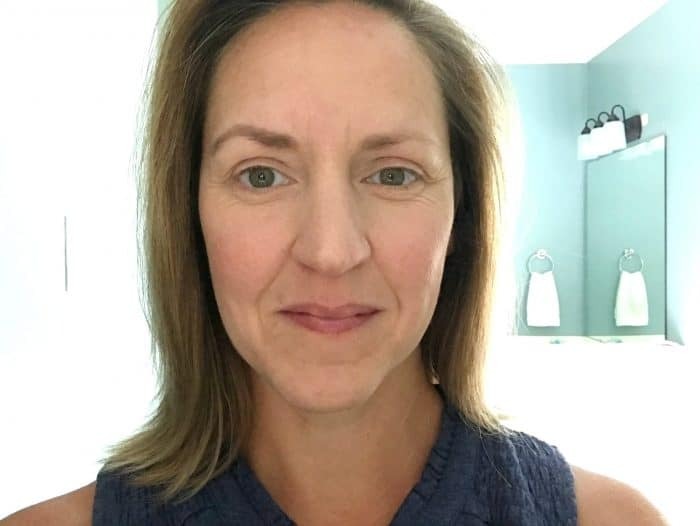 I’m 47 years old and these aging skin makeup tips have really helped me feel better about wearing makeup. I’ve used these 7 tips in the photos below. See how important a soft natural brow looks. See how my skin looked before I started using the chemical free skincare. CLICK over to that post here. 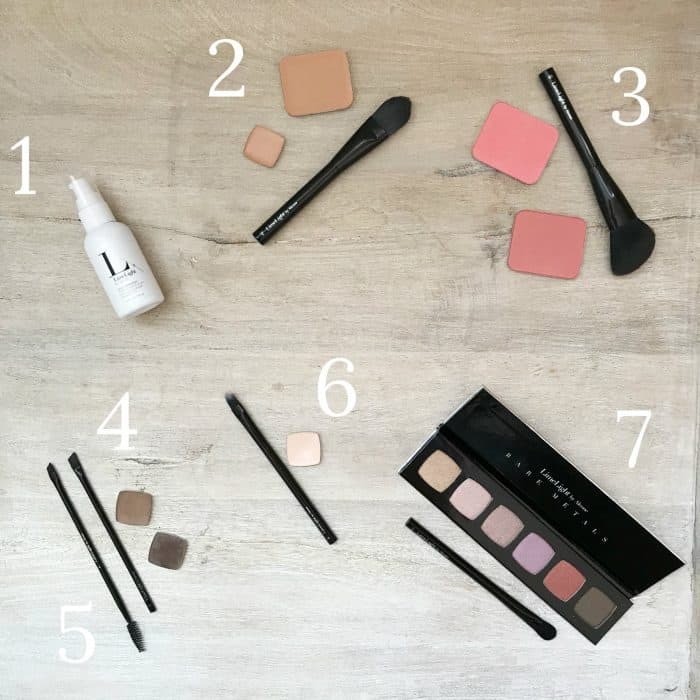 If you have any makeup tips to add to this list be sure to share them with me!